tpdnews: Dorchester man Indecently assaults minor. On November 18, 2018 at approximately 7PM a 13 year old female was selling cookies at Ashmont Station to benefit the Humane Society. The minor victim was properly permitted and had adult supervision. For a brief moment, the adult supervisor, was a short distance away to move a table. At this time a male approached the minor victim and began ask questions relative to the cookies. Shortly thereafter the male indecently assaulted the minor victim. 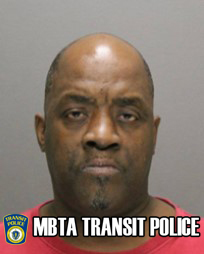 Subsequent to an investigation by Transit Police Detectives Mark Hurd, 56, of Dorchester was arrested for the above referenced assault. Hurd was arrested on 11/28/2018.